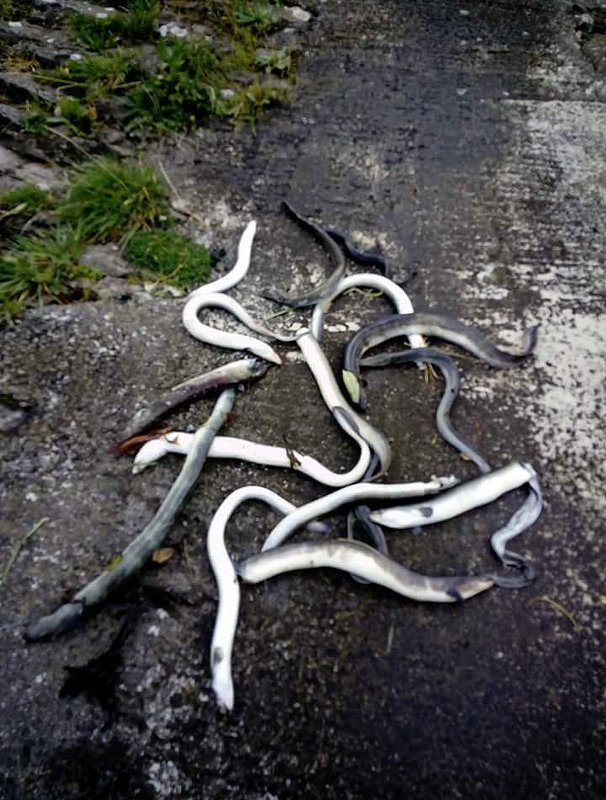 Hydropower and water pumping stations inhibit the migration of young eels (upstream) and adult eels (downstream) between their inland growing habitats and their oceanic spawning places. Project Amber, funded by the EU to deliver a comprehensive atlas of river barriers across Europe, has already identified over one million obstructions. 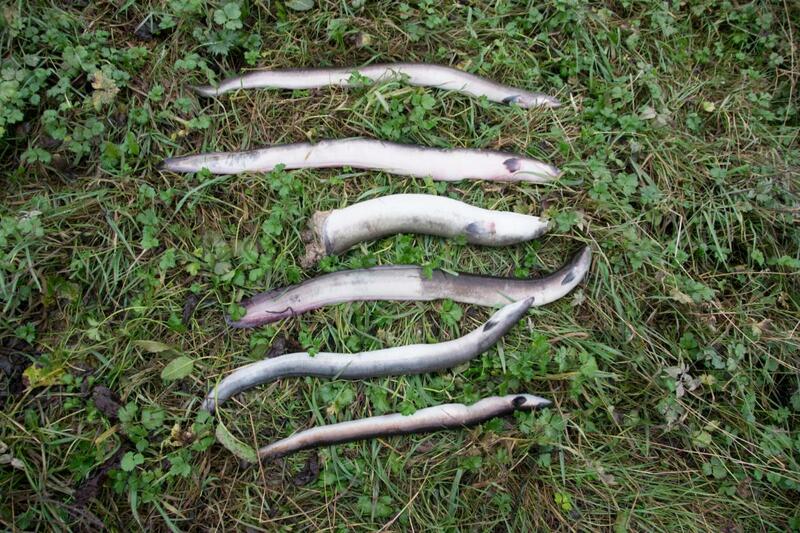 The degradation and loss of habitat is also contributing to the decline of the eel population in Europe. 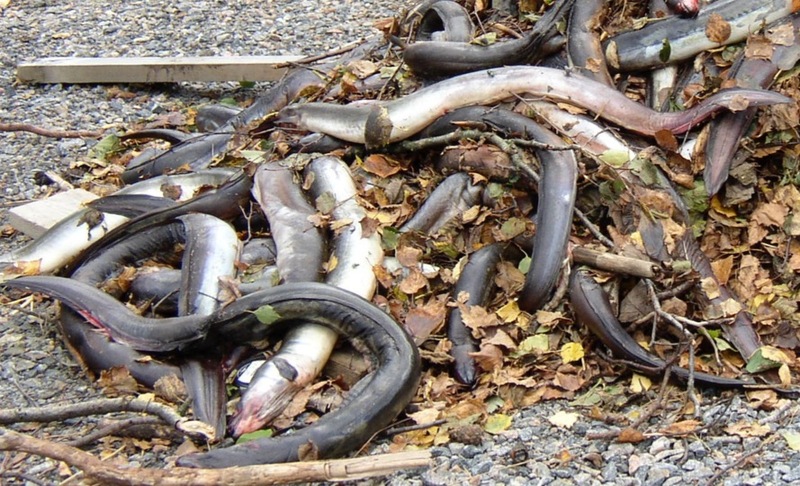 The State of Nature Report published by the European Environment Agency in 2015 shows that only 13% of habitats associated with wetland ecosystems, essential for the survival of European eels, showed a Favourable Conservation Status (as defined under the EU Habitats Directive). Equally, the status of the water bodies covered by the Water Framework Directive is not faring well: only about 50% of water bodies is estimated to be in good condition. 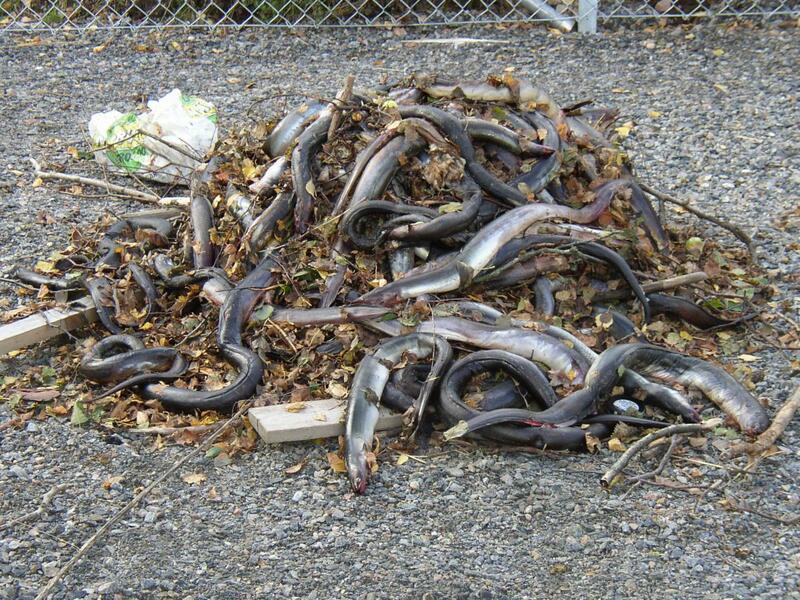 Human-induced changes in hydrology are the most significant pressures for migratory species such as eels. Animals across the globe fly, swim, walk or drift in their effort to find places to breed, feed or just a more hospitable climate. Often unseen, but of major importance for functioning freshwater ecosystems, fish migrate and use rivers as natural highways. But most of them are blocked. 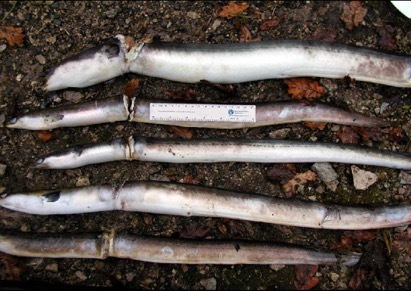 Roughly 1.3 million obstructions in Europe hinder fish, and many other freshwater species, from their natural migration. Imagine a sky full of nets preventing birds from traveling to and from their wintering grounds. 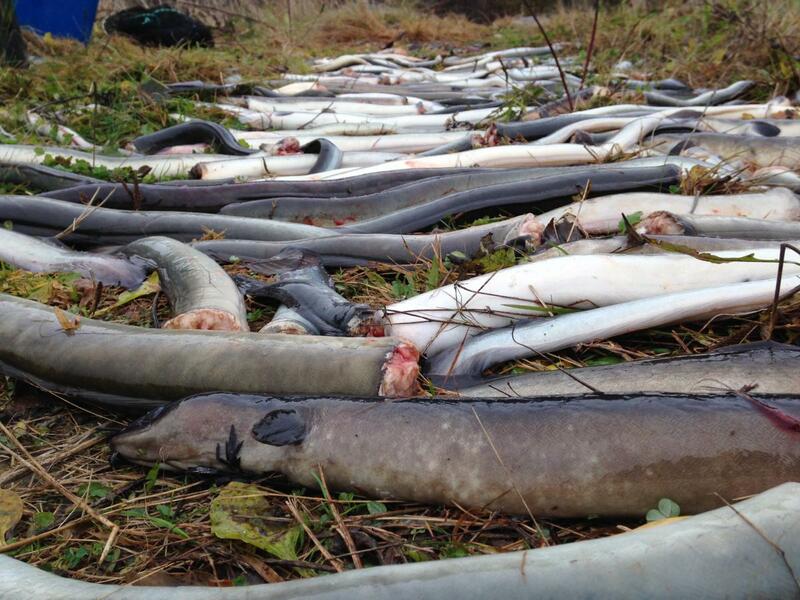 Millions of fish are killed each year on their natural migration.The majority of 25,000 hydroelectric power plants and the many 10,000’s of pumping stations across Europe are not properly screened. Thousands of them are poorly designed, not even allowing fish to find their way around or through them. 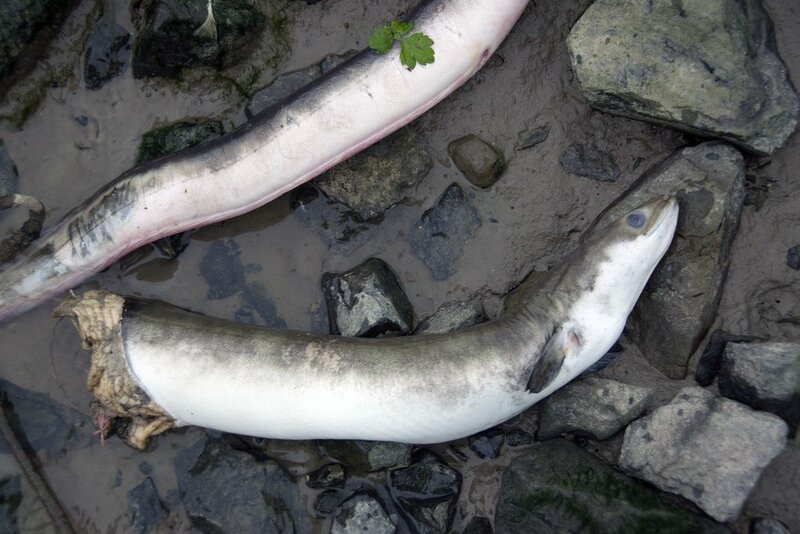 Long-distance migratory species like the European eel, salmon and sturgeon are seriously depleted, or even close to the edge of extinction. Dozens of short-distance migratory species are also in alarming decline. 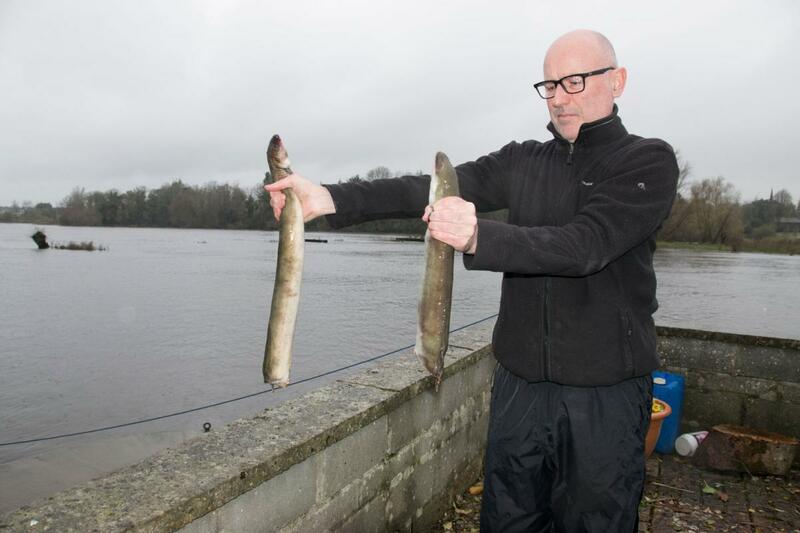 Like many other migratory fish stocks, European eel and European sturgeon are in serious decline and therefore classified as “Critically Endangered” (CR) by the IUCN. 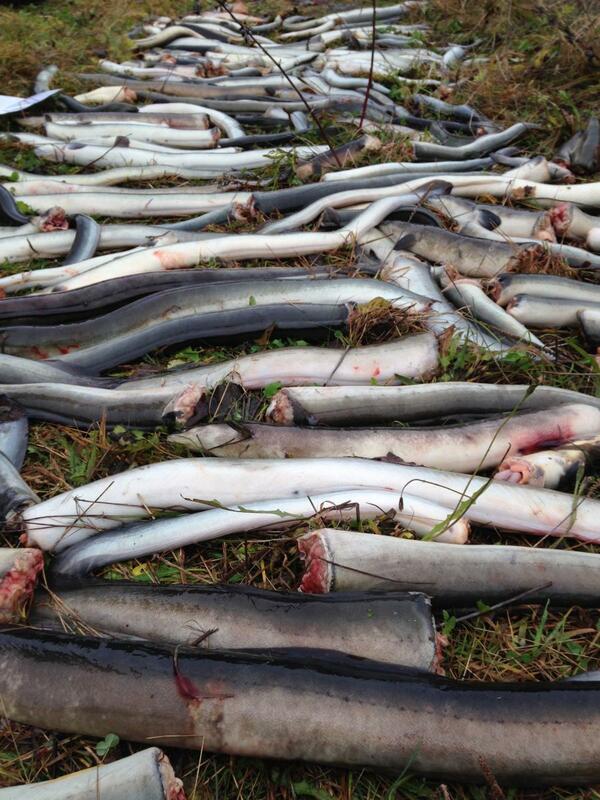 Atlantic salmon, is regionally extinct or seriously depleted in many river systems across Europe. Stopping all fisheries is often communicated as the prime and most logical priority when dealing with declining migratory fish. It is certainly not. Fisheries need to be regulated and controlled but will not make a difference if other factors such as hydropower turbine-induced mortality, habitat loss and blocked migration pathways remain unattended. Long overdue retrofitting with state-of-the-art technology pumps and turbines could help to protect migratory fish. Goals of European Directives lack in implementation. 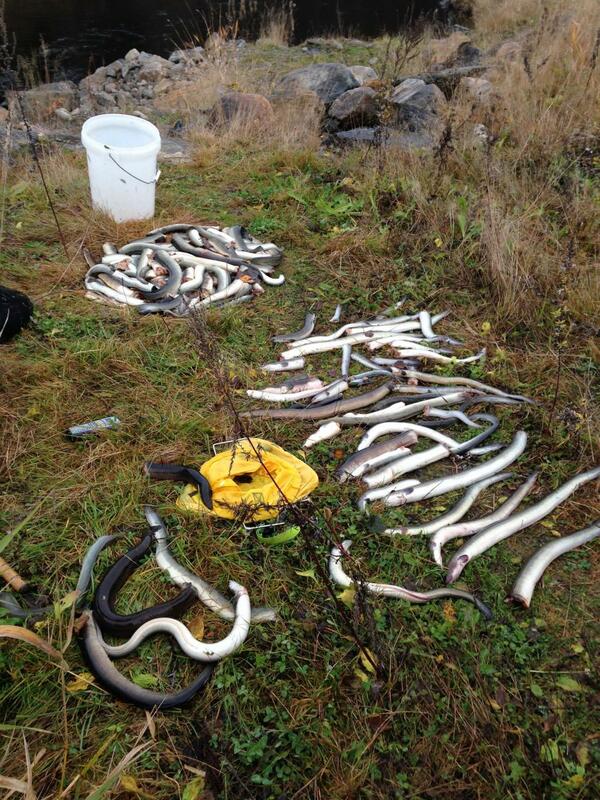 Therefore, we propose a comprehensive approach that takes into consideration all anthropogenic impacts under an effective enforcement of the Water Framework Directive (Directive 2000/60/EC), the Habitats Directive (Council Directive 92/43/EEC), and the Eel Regulation (Council Regulation (EC) 1100/2017).Fish are normally not visible. 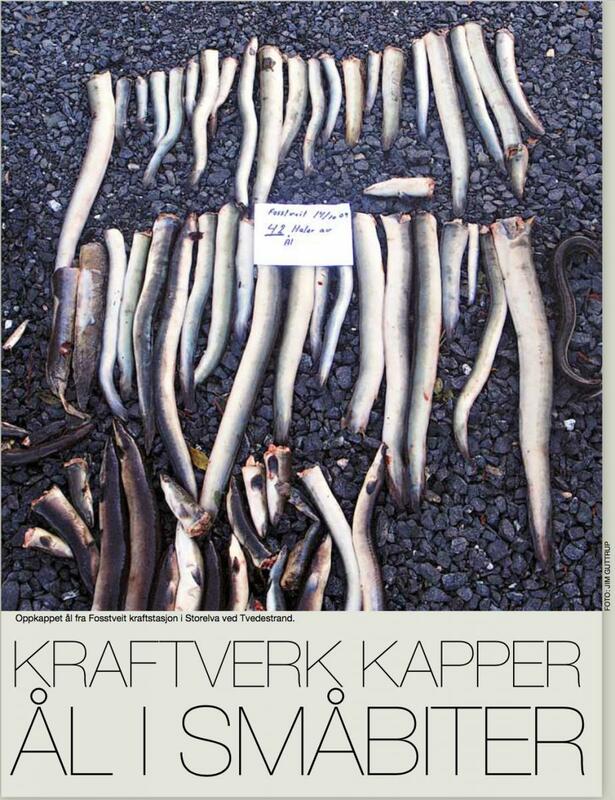 Blocked pathways lead to the creeping loss of fish stocks hidden from the public view. Small hydro-power plants are inefficient. 21,000 of the 25,000 hydroelectric power plants and pumping stations across Europe are small hydropower plants. These produce less than 1 % of the total electricity production in Europe. At the same time, they block 21,000 migration pathways and the access of upstream located habitats for trout, salmon, eels and other migratory fish. 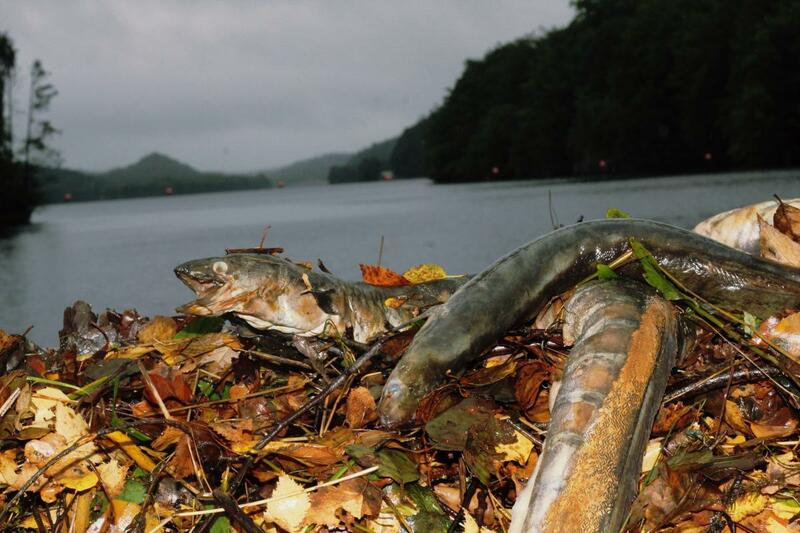 Small hydropower plants are responsible for a huge ecological disaster! Reduce the number of obstructions (1.3 million) that block migration pathways across Europe. Halt planning permissions for new small hydropower plants (less than 1 kW). Many migratory fish are critically endangered or locally extinct. It is time for a comprehensive approach that takes into consideration all anthropogenic impacts under an effective enforcement of the Water Framework Directive (Directive 2000/60/EC) and the Habitats Directive (Council Directive 92/43/EEC) to save our natural heritage, cultures, traditions, and preserve aquatic biodiversity.